Who Is That Mom Who Encouraged Her Son To Sing in the Rain? 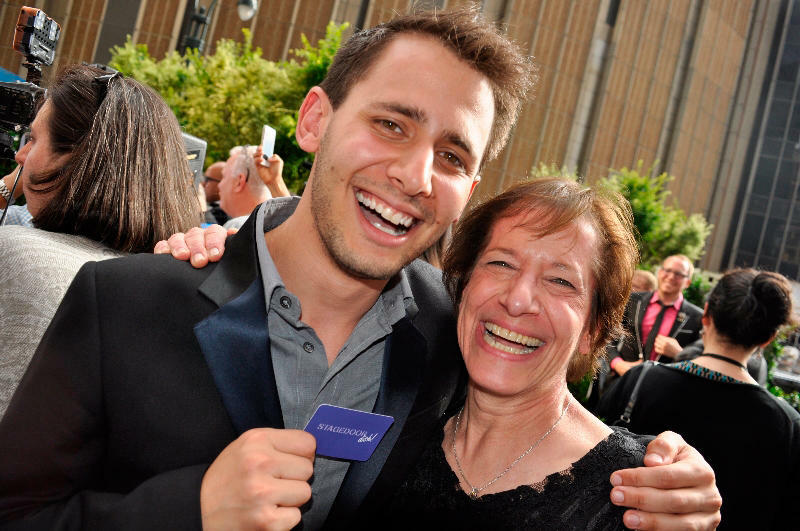 Academy-Award winning songrwiter Benj Pasek with his mom, Kathy Hirsh-Pasek, a psychology professor at Temple University who studies the importance of playtime for children. When songwriter and Ardmore native Benj Pasek accepted an Academy Award in February for writing the lyrics (with songwriting partner Justin Paul) to "City of Stars" from the movie La La Land, he gave an unforgettable shout-out to his mom, Kathy Hirsh-Pasek. "I want to thank my mom, who is amazing and my date tonight! She let me quit the JCC soccer league to be in a musical. This is dedicated to all the kids who sing in the rain, and all the moms who let them!" an ecstatic Pasek exclaimed with Oscar in hand and the crowd cheering. WRTI’s Meridee Duddleston asked Hirsh-Pasek what she thought about her son's tribute. In addition to being the proud mom of Benj, she just happens to be an esteemed professor of developmental psychology at Temple University, a Senior Fellow at the Brookings Institution, and the mother of two other very successful sons. Temple University Professor of Psychology Kathy Hirsh-Pasek talks with WRTI’s Meridee Duddleston about bringing up successful, well-adjusted, creative kids, and shares other professional and personal perspectives. Listen to excerpts of an interview from March 28, 2017. 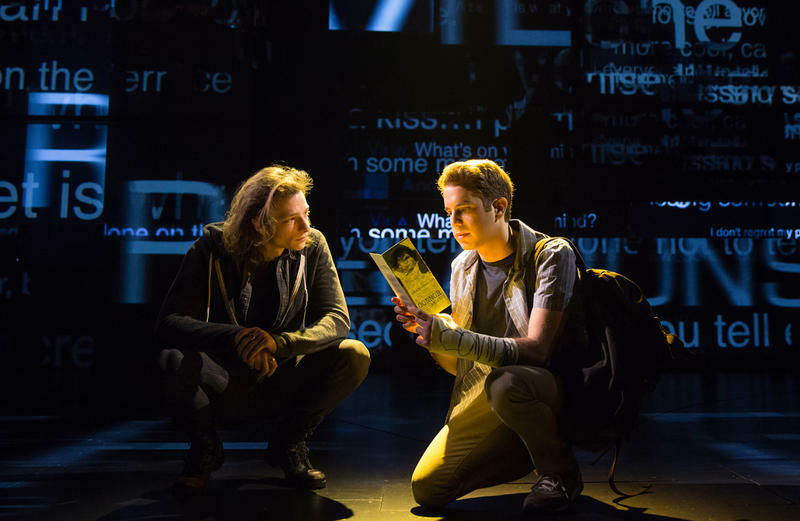 And Benj Pasek's star continues to shine bright on Broadway with his show Dear Evan Hansen. Pasek and and Paul's score for the show is up for a Tony Award this June. The show has nine Tony nominations in all, including "Best Musical." Their next project? Another movie musical: The Greatest Showman. Meridee Duddleston: Composer and lyricist Benj Pasek melted hearts when, in accepting his award for the song “City of Stars,” he dedicated his Oscar to “all the kids who sing in the rain, and all the moms who let them.” His mother, Kathy Hirsh-Pasek savored that moment. But she’s also a psychologist with an expertise in childhood development, an author of books and articles on raising children, and a professor at Temple University. Who could resist asking her how to help kids thrive? Kathy Hirsh-Pasek: Kids have to learn the basics. They have to learn how to write. They have to learn how to listen. They have to learn to be citizens of tomorrow. But they also have strengths. And to be able to follow their passion, and to not presume what that passion is, is a very big deal. And so I think for me as a grandmother now, and as a mom, that’s what I hoped for in my kids, each one of them has found passion and gone for it. MD: Her youngest son showed a deep capacity for compassion and empathy. Now he’s getting a Ph.D. focusing on religious intolerance. The oldest arranged his toy cars in meticulous straight lines. He’s a college professor concentrating on analytics within the social sciences. And the middle child with his love of singing and dancing, who cast little plastic figurines in made-up shows? The last we saw him, he was on stage thanking his mother. Hirsh-Pasek's expertise is in early childhood development and she's the author of numerous articles and books on parenting. Most recently, she and Roberta Michnick Golinkoff co-authored the New York Times bestseller Becoming Brilliant: What Science Tells Us About Raising Successful Children (May 2016). Throughout her career, Hirsh-Pasek has written a great deal about the importance of play in facilitating children’s development of lifelong skills and creativity. It’s an approach that resonates with her to this day, and it’s a theme she and her co-authors covered in their book Einstein Never Used Flashcards: How Our Children Really Learn—and Why They Need to Play More and Memorize Less. (Hirsh-Pasek, Golinkoff, Eyer, 2003). Meet Oscar and Tony Winners Benj Pasek and Justin Paul! Listen to the radio feature from 2016. Benj Pasek (an Ardmore native) and Justin Paul—best friends from their days at the University of Michigan—won a 2017 Academy Award for writing the lyrics to the song "City of Stars" from the hit film La La Land. They're also Golden Globe winners! And now... they can add Tony awards to the mantle, including the 2017 Tony for Best Musical.